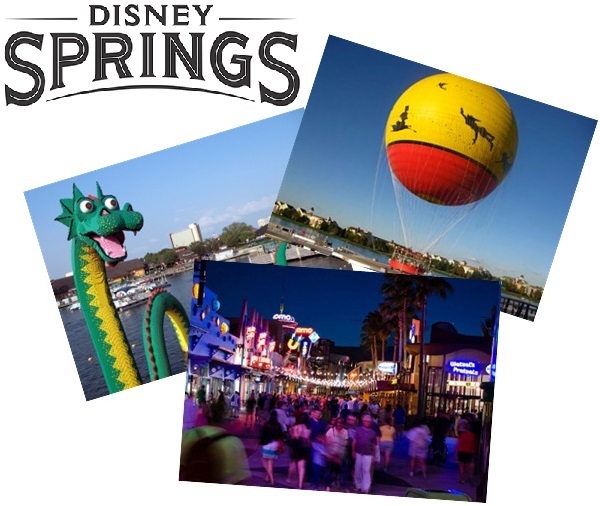 Disney Springs is a outdoor dining-, entertainment- and shopping complex at the Disney World Resort. It's divided into three areas called Market Place, Pleasure Island and West Side. Disney Springs opened in 1975 and has had some name changes in the past. Disney Springs is the latest name for the property as of 2015. The complex is built next to Village Lake, visitors can rent a boat to use on the lake. Market Place holds a lot of restaurants and shops. One of the shops is World of Disney, the largest Disney shop in the world. I even got lost in World of Disney, as a man I lost my bearing. Almost impossible, but Disney did it. Just saying how big it is! Rainbow Forest Cafe and T-Rex Cafe are also located in the Market Place area. Boats to use on the lake can be rented at Cap'n Jack's Marina. Pleasure Island features shops and restaurants and in the past also had nightclubs and comedy clubs. About two years ago (Nov. 2010), Disney announced Hyperion Wharf would be the new name for Pleasure Island, and changing the theme to a early twentieth century wharf entertainment area. Disney put those plans on hold and even removed the name from it's websites. Guess we'll have to wait what's going to be build there, to attract visitors again to this part of Disney Springs. West Side features a lot of full service restaurants and shops. AMC movie theater is a nice place to watch the latest movies including dining options while watching the movie. I always enjoy watching a movie there, when I'm visiting Disney Springs. Disney Quest is also on this part of the complex, featuring a lot of (interactive) games for mainly children. Characters in Flight is a hand painted hot-air balloon with classic Disney characters on it. It hovers for 8-10 minutes about 400 feet (133 meters) in the air above Disney Springs, with a 360 degree view of the surrounding area including the theme parks. With a little luck you can see 10 miles away! Circue du Soleil has a show called 'La Nouba' at West Side, featuring contemporary circus performance featuring acrobats, gymnasts, and other skilled performers. Parking and admission is free, which is a great advantage; Universal CityWalk charges a parking fee until 10PM. Luckily Disney doesn't do this (yet). The parking lot is huge, and some garages have been built in 2015, so there is always an empty spot to find to park your car.